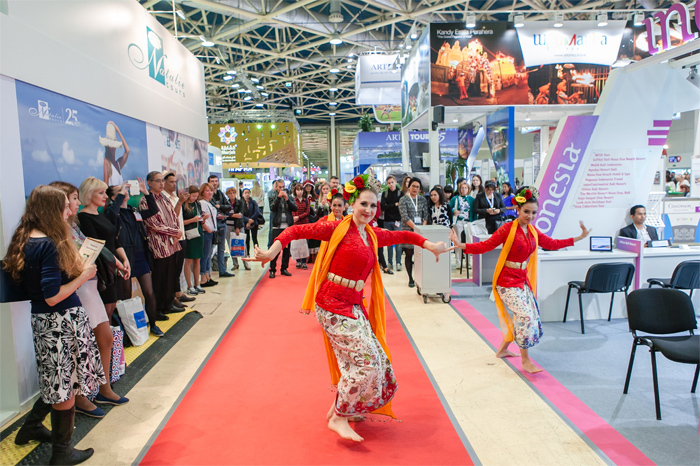 “Wonderful Indonesia” will be exhibiting at OTDYKH Leisure 2018 with a big collective stand and comprehensive entertainment program for the 13th consecutive year. In this regards the Ministry of Indonesia has kindly agreed to give an interview to our team. — OTDYKH team: What are the top three popular local destinations for Russian tourists in Indonesia? The Ministry of Indonesia: According to statistics they are Bali, Jakarta, Bintan & Batam islands located near Singapore. — OTDYKH team: What is the flight program 2018 from Russia to Indonesia? The Ministry: At the moment there are only non-direct regular flights between Russia and Indonesia, they are operated by following air carriers: Singapore Airlines, Emirates, Qatar Airways, Thai Airways, China Eastern and number of code-share flights operated by Aeroflot. The Ministry of Tourism is ready to support the initiative of Russian tour operators to organize charter flights from Russia to Indonesia by providing incentives for each passenger. Launch of the direct flight at least on the route Moscow-Denpasar is highly possible within the nearest future. — OTDYKH team: How do you predict 2018 and what is your action plan to attract more tourists from Russia? The Ministry of Indonesia: In 2018 Indonesia expects to welcome around 150,000 tourists from Russia. — participation in industry events: Otdykh Leisure Expo, etc. Direct flights launch will also help to increase the tourist flow and make Indonesian destinations more available for Russian tourist. — OTDYKH team: What travel trends have you noticed in recent months? Please provide statistic of the flow of tourists from Russia to Indonesia. The Ministry of Indonesia: According to the latest statistics, 39,910 Russian tourists have visited Indonesia in January-March 2018. The most popular destination is Bali with 35,689 travelers from Russia, the capital of Indonesia, Jakarta (2,599) and Riau islands, Bintan and Batam (753). In the meantime the geography of destinations is expanding y-o-y, a growing number of tourists are visiting Medan, Yogyakarta and Lombok island. Travellers from Russia become more informed and experienced in Indonesia. — OTDYKH team: What’s new in Indonesia’s tourism industry? Please share developments/new initiatives or updates. The Ministry of Indonesia: Top-10 destinations called “10 new Bali” are still the main focus for development and promotion. Air connectivity, development or modernization of existing airports become a critical success factor #1 for boosting inbound and outbound tourists flow since 75-80% of foreign tourists arrive using air transportation. — OTDYKH team: What’s regions, attractions have potential to gain popularity among Russian tourists? The Ministry of Indonesia: Indonesia offers plenty of wonderful destinations beyond well-known Bali, such as beautiful Lombok island with divine beaches, the majestic Mount Rinjani and spectacular marine life to discover; Banyuwangi, the east-most city of Java, surrounded by unique mountains and beaches; Raja Ampat — province in West Papua with world’s best places for diving and snorkeling; Medan, the capital of North Sumatra, and gorgeous Lake Toba and Samosir island not far from this city. These and other key Indonesia destinations are already popular among Australian and European tourists and have a great potential to gain love and popularity among travellers from Russia.